Don't settle for a small serving of oatmeal that leaves you feeling unsatisfied! 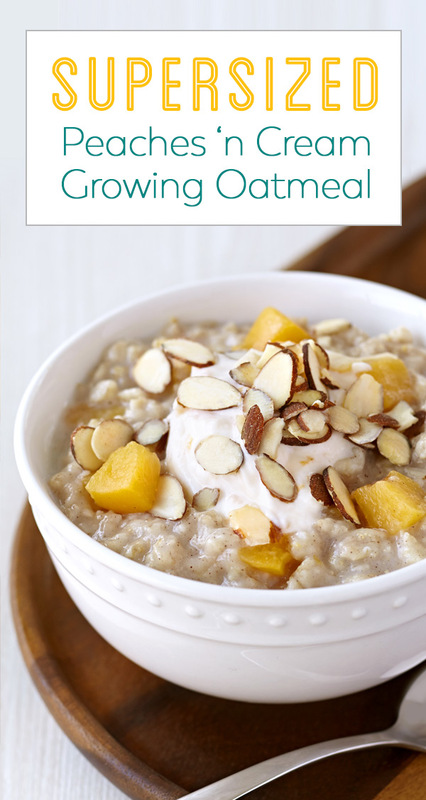 Supersize your breakfast bowl with our “growing oatmeal” technique: Cook it with twice as much liquid for twice the usual cook time, and watch your portion GROW. We topped this one with Greek yogurt and nuts to make it extra filling... It’s Hungry Girl Diet approved! 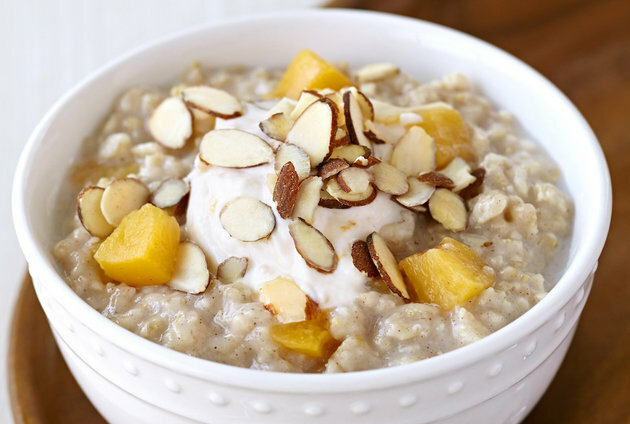 In a nonstick pot, combine oats, cinnamon, vanilla extract, and salt. Add milk and 1 1/4 cups water. Bring to a boil, and then reduce to a simmer. Add peaches, and cook and stir until thick and creamy, 12 - 15 minutes. Top with yogurt and almonds. Happy April 17th... It's National Cheeseball Day. Let’s celebrate with cheese-topped balls of meat, a.k.a. our Pizza Meatballs! Improve your pals’ lives with the click of a button. Hit "Send to a Friend" to share these recipes!